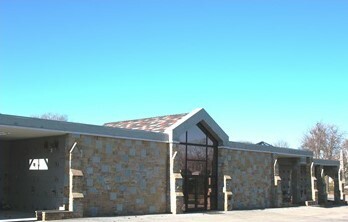 The All Faiths Cemetery features 2 Modern, State of the Art Community Mausoleums constructed in 2001 and 2007. These finely crafted, European-style entombment facilities boast both indoor Chapel areas and Garden Crypts. 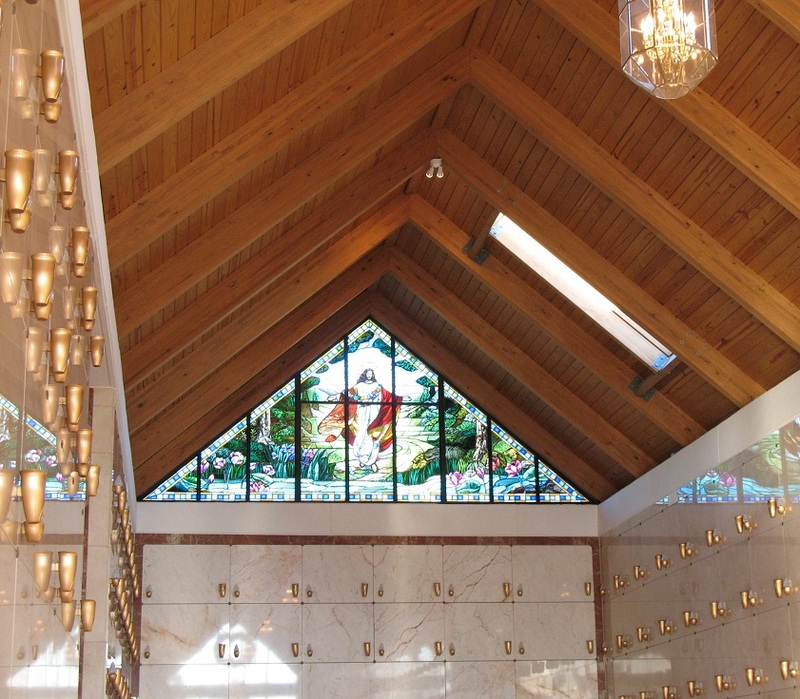 This 552 Crypt Mausoleum features both interior and exterior areas, with expansive overhangs protecting its visitors from the elements and skylights to enhance lighting. Constructed of Brown and Tan Ashlar stone and Verde Green and Crème of Marfil Granites and Marbles this Community Mausoleum reflects the design elements of the 80-year-old Administration Building. 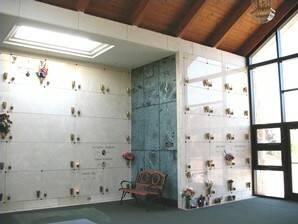 This Elegant Community Mausoleum contains 3000 Crypt Spaces and 120 Glass Niche Spaces for the Cremains of Loved Ones. 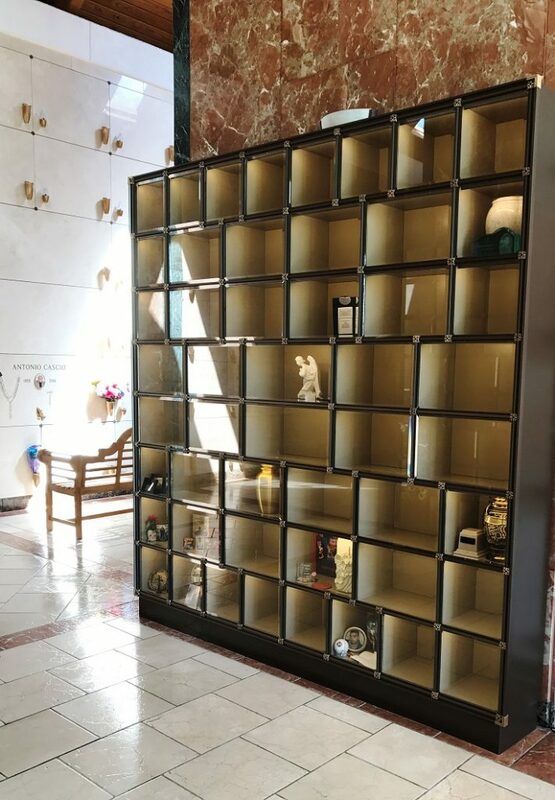 Two Private Family rooms provide the owner with 14 Crypt Spaces per room and the ability, through the Cemetery, to customize each room to your family’s taste. Each room contains its own stained-glass window of a “Trumpeting Angel” and chandelier, which can be upgraded. Semi-private areas are available in the form of Alcoves; these areas can be purchased for Single, Double and Family entombments. 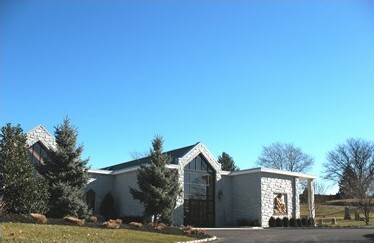 With 80 percent of all entombment areas located within fully enclosed areas, your choice can be made from 3 Indoor Chapel areas and a Transverse Chapel. The Resurrection Chapel or central chapel is flanked by the Ascension Chapel (North chapel) and the Epiphany Chapel (South chapel). Stained Glass and Statuary is available for purchase and memorialization of your loved ones. Teak benches and planters are provided in each chapel area for visitors and can be purchased through the cemetery for dedication and memorialization. Exterior Garden Crypts can be found on both the North and South exterior walls in a colonnade setting. 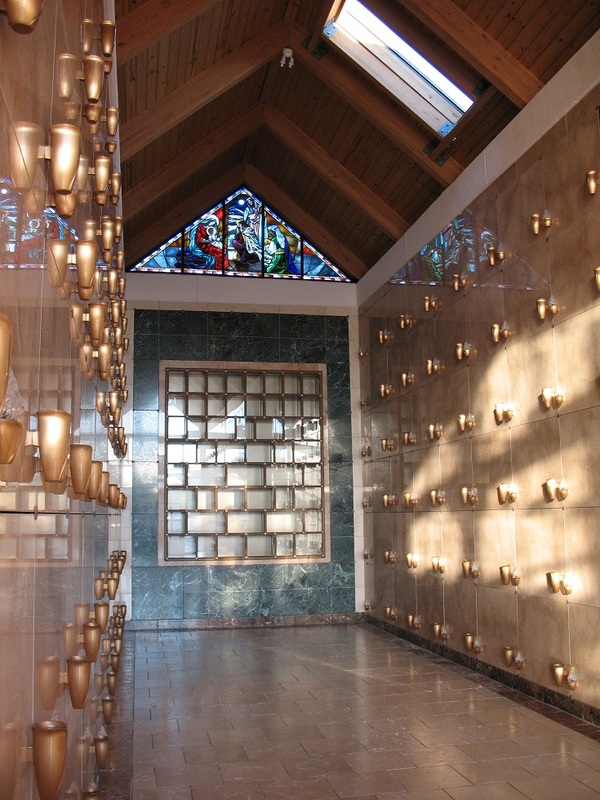 The Light of Hope Mausoleum is a Classic Structure, constructed from Polished Granites, Marbles and Ashlar Stone. Its Antique Marble floors and design rival those of 14th and 15th Century Europe. 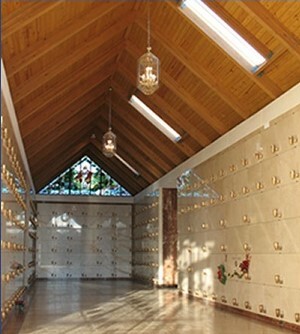 All Community Mausoleums are Affordable and Convenient and provide an everlasting memorial to those entombed within.